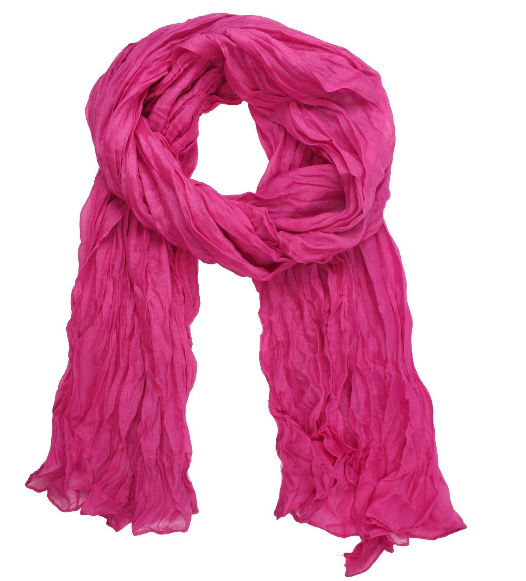 Cute Pink Crinkle Scarf Only $2.82 + Free Shipping! You are here: Home / Great Deals / Amazon Deals / Cute Pink Crinkle Scarf Only $2.82 + Free Shipping! Grab this Cute Pink Crinkle Scarf for Only $2.82 + Free Shipping right now so you’ll have it for Valentine’s Day this year! I just love the crinkles – gives it character!